Throughout the year, including the holiday season, parents often want to spoil their kids with an endless supply of gifts. It is natural and common to want to give your children the latest toys and gadgets. However, before spending astronomical amounts to purchase all the things on the list, take a moment to think about what the kids really need instead of purchasing something because it is easy and quick. One of the amazing things about kids is the way their bodies and brains respond to different experiences. Parents, relatives and friends that want to buy gifts need to consider buying things that will help the children develop strong minds and bodies. Complicated toys that are played with in specified ways may be delightful initially but do not always provide chances for kids to use their imagination and are unlikely to keep them occupied for a substantial period of time. 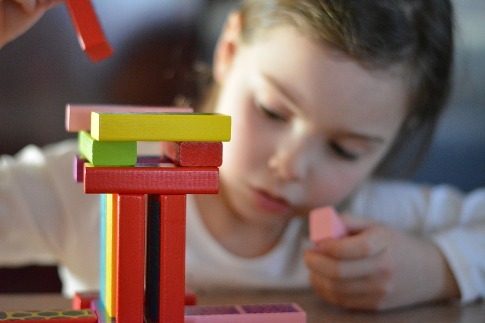 Opt for open-ended gifts that give children the liberty to create imaginative and creative games with their toys. When children are not restrained by instructions on the packaging, this helps them with their imagination. Gifts and toys that belong to movie or TV franchises are popular choices. Franchises are great for children who enjoy living in a character and imaginative world. You can also look for things that give them chances to do and make things that are not limited by what is delivered by the franchise. Buy the best gifts for kids here. Some gifts give children an opportunity to develop their social skills and learn how to play with other people. Families and friends are encouraged to look for gifts that enable the child to do something with someone else. It is also a good idea to find toys that give parents opportunities to play with their kids from time to time. You need to get down to the level of your children every now and then to give them control over the activities that you want to participate in. Ask them questions that cover aspects such as what they want to do, the characters they want you to be and whether you can build something together. Having both indoor and outdoor gifts ensures that children can be kept busy when it is wet, cold or hot outside as well as have something that they can take outside when the weather is pleasant. Building sets can also keep you entertained for hours. Wooden puzzles, painting sets and soccer balls are classified as traditional gifts and are still worthwhile choices. These timeless and classic items encourage children to be mentally and physically active as well as helping them with their fine motor skills and hand-eye coordination. Invest in toys that influence how the child moves and get involved by helping them throw, catch and kick. Children’s gifts do not have to be complex or sleek as long as they give them an opportunity t have fun, learn and develop both mentally and physically. Consider getting children something they can read, wear, need or want.